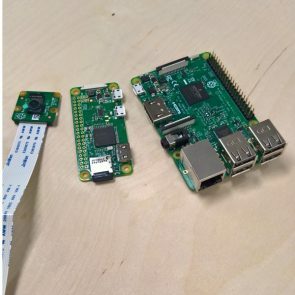 Missed our last Raspberry Pi Camera Workshop? Don’t worry we’ve got another one coming up this Saturday, February 17th, 2018. This workshop will show you how to assemble a Pi camera with an optional powered tilt and swivel mount and get it running with software that you can use to make a security camera, a wildlife camera, a video doorbell, a time-lapse camera, a party photobooth or *insert your own wild idea here*. The workshop is hosted by our favorite Raspberry Pi expert – Tim Rowledge – at BC Robotics. The workshop runs from 1:00PM to approximately 3:30PM and costs $20.00 plus applicable taxes. Seating for this workshop is limited – Reserve your spot through our website today! A 48-hour notice is required for cancellation. If you have your own parts, bring them in; if not, We stock everything you’ll need!